Get trained on CDVI products at Tavcom Training! Tavcom Training is the world leading provider of accredited security systems training courses. Tavcom provides award winning BTEC certificated courses to installers, operators and managers within the security industry. Technical and non-technical courses are available to meet the training requirements of security personnel at all levels, from beginners to advanced. In total, Tavcom currently offers 60 regularly scheduled training courses, including some relating to Access Control; and with the help of CDVI, Tavcom can now train installers directly on the ATRIUM web-based access control. From the Practical Access Control Installation Course requiring no prior knowledge to the Advanced Access Control Course, installers can learn everything that is needed to install and maintain access control systems. 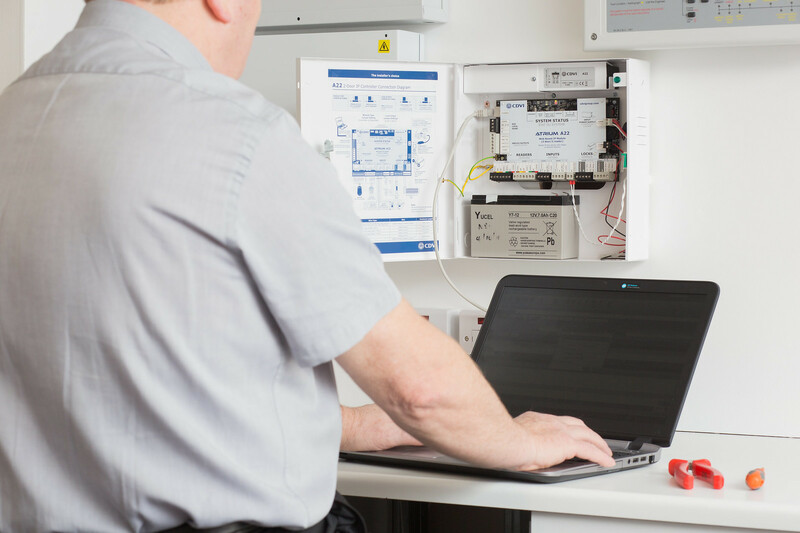 The Foundation Access Control Course allows installers to get hands-on experience on multiple access control systems, including the ATRIUM A22 PCB and its easy-to-use software. More information about the Tavcom Access Control Trainings here. ATRIUM is a cost-effective web-based access control system operating up-to 500 doors and 64 floors (with the latest A22EC upgrade). 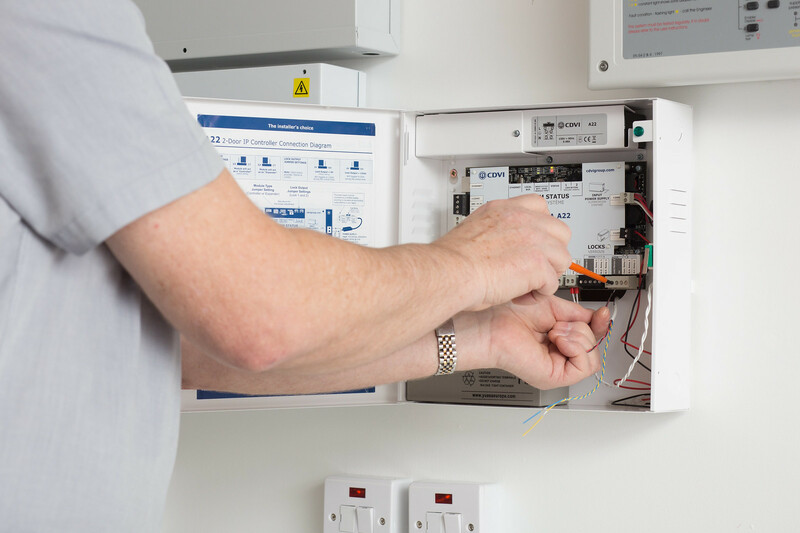 The software and updates are entirely free and easy-to-use, allowing installers to make changes or diagnose issues from their own premises, avoiding costly site visits. Ideal to install GDPR compliant processes, ATRIUM offers an easy-to-use and free app for end-users as well as a 10-year warranty. Find our more information about ATRIUM here. Or call 01628 531500 today for a free site survey for your access control project.